Mood Moss is used to create this nice Decorative Moss Display. The Arkansas mood moss dome is made with real preserved moss systematically designed to provide a relaxing moss ball feature arrangement. 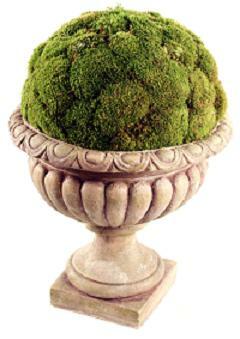 This stone cast resin beautiful urn filled with maintained moss will add a finishing touch to your indoor decorating.